Folksy 60s new York singer songwriter with dramatic string arrangements. 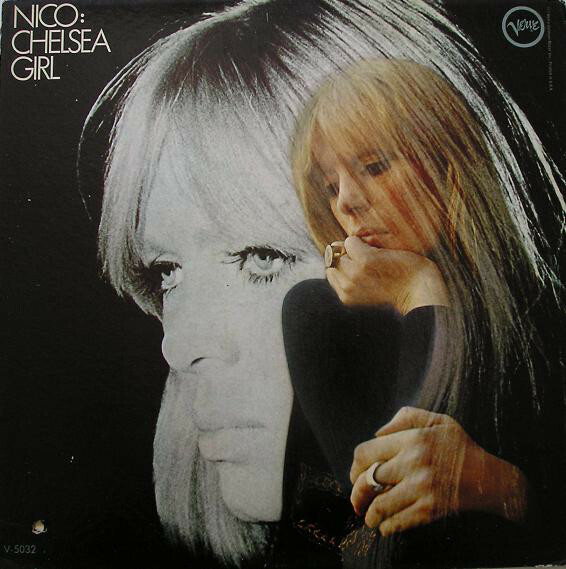 No bass or percussion, Nico’s distinct voice is at the center of it all, singing lyrics about friends, life, change, stories of new york (especially convincing considering she didn’t write any of the lyrics). I like the dark textures of ‘it was a pleasure then’, an electric guitar is employed to do general noodling and effects before breaking into some dissonant soundscape. It’s particularly effective given the album had been entirely acoustic. This album has aged very well. Nico’s nonchalant character feels very New York and the album carries a feeling of walking around the city. Her vocal range is limited but her distinct masculinity is appealing. I see this continuing to have a ‘cool’ appeal for future listeners through her association with the velvet underground. My only previous exposure to Nico was on the VU’s debut, surprised to know a number of the singles.